The medieval church on this site was badly damaged by lightning in 1723. In 1731, work on additions had already been made, but flaws in construction were increasingly obvious over time. At the end of the century, the congregation agreed to build a new church around the old one which was gradually demolished as work progressed. 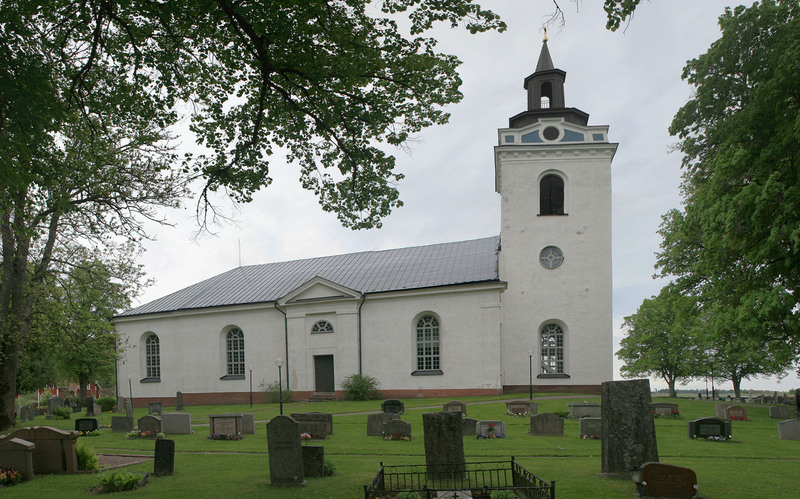 The new church was designed in Neoclassical style in the 1790’s and in 1797 the Lillkyrka parish’s organist set up an organ composition. The old pulpit dating from 1650 is preserved. A metal roof was added in 1831 and the tower was demolished and replaced in 1850-1851. In 1863, the church was plastered inside and out. After repainting and gilding of the interior in 1872, the work was considered done.